Year 6 Electricity Models Finished! Jake, Fin and Jamie with their four lights Santa sleigh. Unfortunately they blew their bulbs at the last second byt turning up the voltage too high. Oops! You live and learn. Mia and Francesca made a zoo complete with fountain and light. Nice one girls. Kian and George made a mighty windmill with moving sails AND a lighthouse. Great work boys. Tom and Arjen with their excellent buzzer game. They carefully polished their wire for maximum conductivity and wired up their game very well. The two Eloises with their light up-spinning-dance- floor….strawberry!!! Molly, with her and Josephine’s light up owl. Archie with his Rudolph with a very shiny and illuminated nose! Harry, Will and Oliver made a propeller game. A motor spins, a whizzer rises up and you have to catch it! Nice one boys! Archie and Patrick with their Police car which lights up and buzzes. Poor Mr Morris, this is right outside his office door! Dom and Will’s lighthouse. Simple but effective and very creative use of materials boys. Well done! Antonia, Sian and Pippa made this amazing light up singing snowman complete with spinning snowflake. Gracie, Caitlin and Freya worked hard on their motorised platform for James and the Giant peach. Very creative girls, well done! 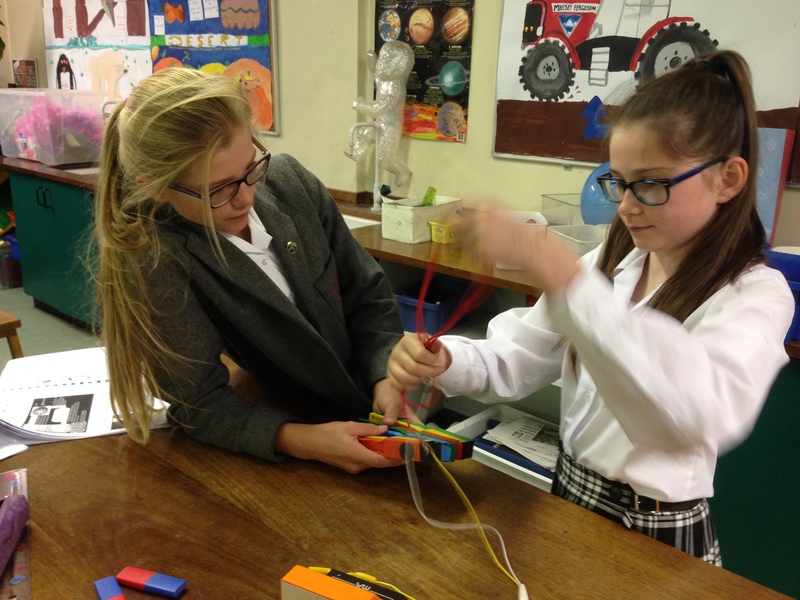 Georgina, Eleanor and Clemmie made an… interesting light up mushroom! Well, why not?! 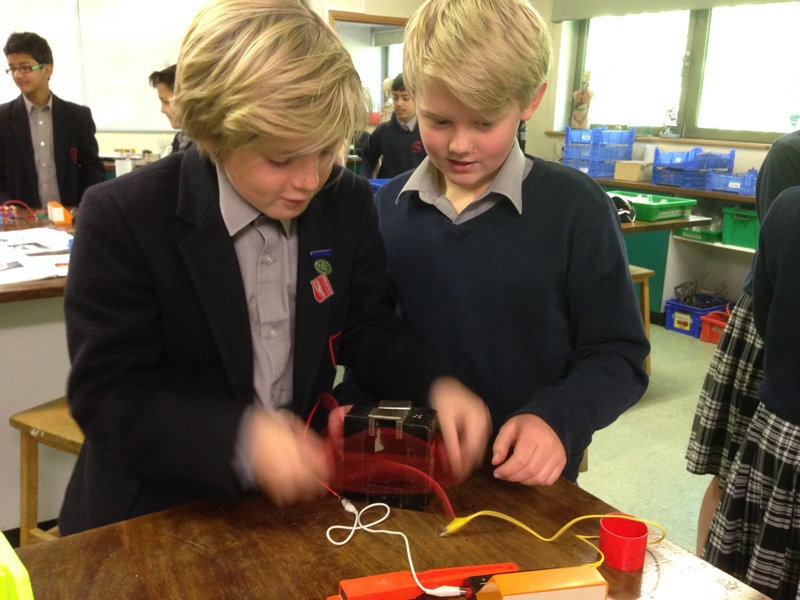 Year 6 started their electrical gadgets today. They can make anything which has an electrical circuit, as long as they set up their own circuit and build in a switch for turning on and off. Many of them had brought in boxes and tubes, tubs and decorations from home to give themselves a head start, and then the fun began. Here are Tom and Arjun making their buzzer game. Here are Francesca and Mia with their fountain in the zoo. George and Kian pose with their windmill under construction!